The Phillies snapped the Dodgers’ 10-game winning streak with their 3-2 win on Sunday. 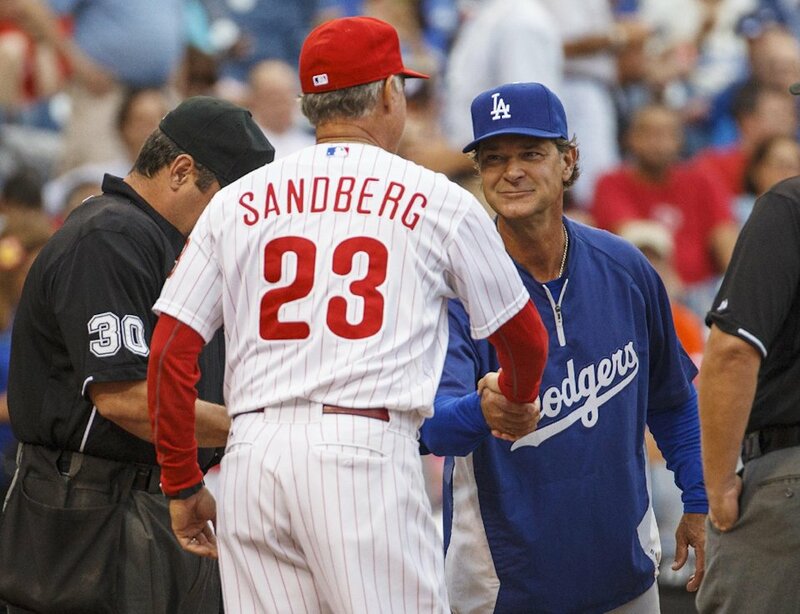 The victory gave Ryne Sandberg his first win as the Phillies manager. Hanley Ramirez made two ninth inning errors which cost the Dodgers the game. With the bases loaded and one out, Michael Young grounded to short, which should have been an inning-ending double play. Fortunately for the Phillies, Ramirez booted the ball. Casper Wells scored from third as the error enabled the Phillies to win in walk-off fashion. Cole Hamels pitched very well, allowing just two earned runs over seven innings. He surrendered seven hits, but did not walk a batter and struck out eight. Darin Ruf homered in the fourth inning, his eighth of the year. Jonathan Papelbon picked up the win after a quick ninth inning.